On Tuesday, a 32-year-old Greek mother has given birth to a baby with a DNA from three people in Greece. The baby boy, who weighs 2.9kg (6lb), and his mother, who is 32 are said to be in good health. Dr. Panagiotis Psathas, president of the Institute of Life in Athens, said, “We are very proud to announce an international innovation in assisted reproduction, and we are now in a position to make it possible for women with multiple IVF (In Vitro Fertilization) failures or rare mitochondrial genetic diseases to have a healthy child.” It is the first time an IVF technique involving DNA from three people has been used with the aim of addressing fertility problems. The study took on 25 women under 40 years old who had already had at least two previous failed IVF attempts. The team had to conduct the trial in Greece because the procedure is not approved in Spain, according to health news website Stat News, which reported the woman’s pregnancy in January this year. 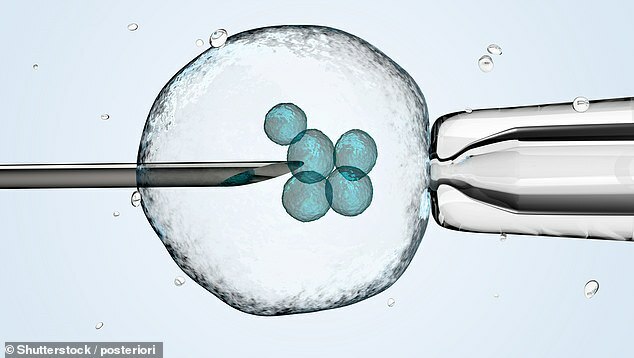 The medical team in Barcelona used a technique called maternal spindle transfer (MST), in which maternal DNA is put into the egg of a donor woman, which is then fertilized using the father’s sperm. The technique hinges on cell structures called mitochondria which turn food sources into useable energy. Mitochondrial Donation – the experimental IVF treatment, involves using an egg from the mother, sperm from the father and another egg from a female donor. The vast majority of a person’s genes – about 99.8% – are found on the 23 pairs of chromosomes that sit inside the nucleus in each cell in the body, and in the IVF procedure, this DNA comes from the two parents. However, a tiny proportion of genetic material also resides in a cell’s mitochondria, small structures that act as the cell’s batteries and float around freely in the cell body. In mitochondrial donation, the mother’s mitochondria are removed from her egg and replaced by a donor’s. The doctors behind the latest treatment claim that mitochondria also play a role in a successful pregnancy and suggest that the technique could be applied more broadly as a fertility treatment. The 32-year old woman in the latest case had previously undergone four unsuccessful rounds of IVF. Nuno Costa-Borges, the Spanish embryologist who collaborated with the Institute of Life clinic in Greece, where the treatment took place, said it could help “countless women” to become mothers and described the advance as a revolution in fertility treatments. The treatment was originally developed as a treatment that could prevent women with debilitating or even fatal mitochondrial diseases from passing them on to their children. The treatment was made legal in the UK in 2015, but so far no other country has introduced laws to permit the technique. There is only one known instance of the technique being applied clinically, in which a family from Jordan were treated by US doctors at a Mexican clinic, prompting controversy. Although, the doctors from Greece and Spain, who are responsible for the treatment, claimed they were “making medical history” with a procedure that could help infertile couples around the world. Experts from the UK have criticized the decision to proceed with the treatment, which they said was not backed by evidence and involved unjustifiable risks. There have been claims by many that the technology is entirely untested. There are about 2,500 women in the UK with mitochondrial disease who could benefit from the procedure.